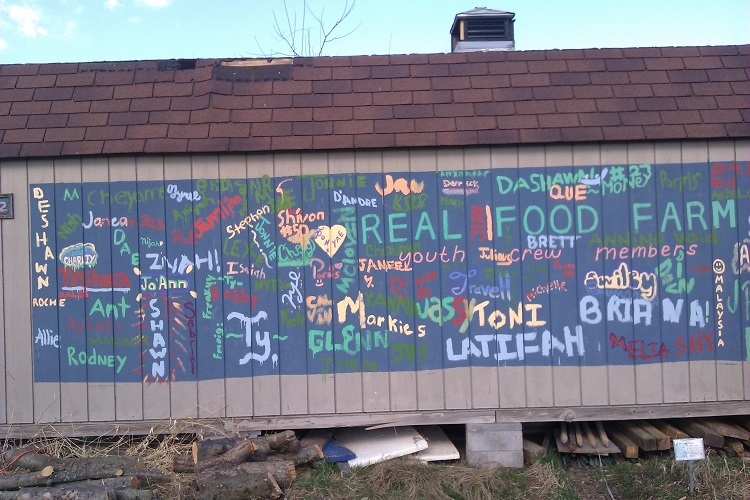 Recently I was charged by the community to learn about mushroom inoculation. This does NOT involve giving shots to mushrooms to keep them from getting the flu, but rather seeding logs so that they produce mushrooms (in this case, oyster mushrooms). 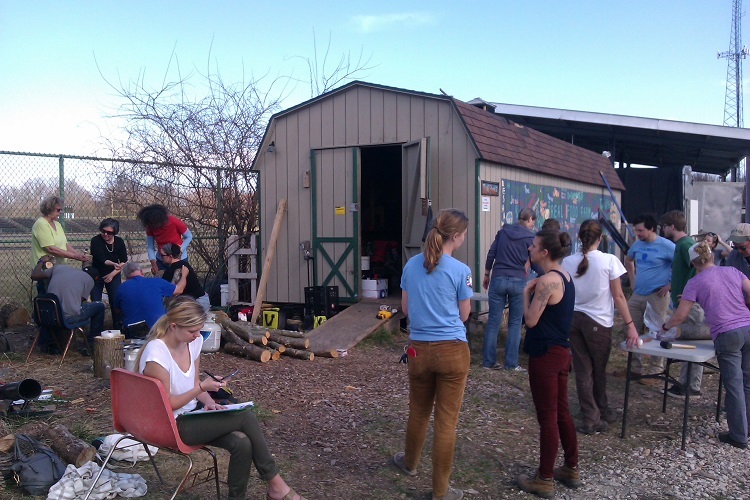 The inoculation workshop was given by the Baltimore Orchard Project, which is part of Baltimore Civic Works, at Real Food Farm, at Clifton Park, in Baltimore. The workshop was completely hands-on. 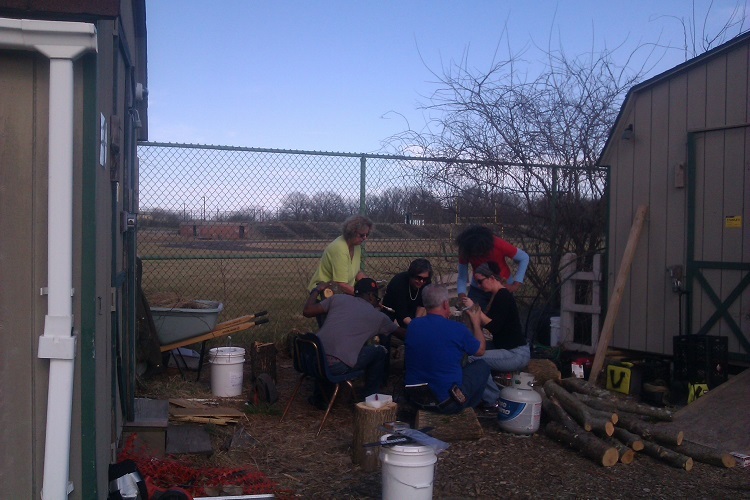 The participants collectively inoculated the logs, then at the end of the workshop, each participant picked out a log to take home. 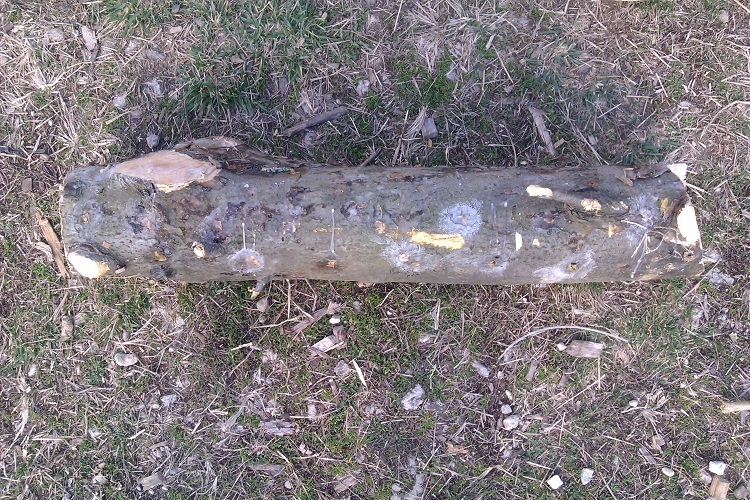 The steps included drilling holes into logs (freshly cut logs from healthy, living trees–otherwise, other fungi and bacteria may prevent mushrooms from forming), pounding pegs covered with mushroom spawn into the logs, and sealing the holes with wax. Next, I have to put the log somewhere outside, in a moist shady area, and it should produce a couple crops of mushrooms this summer. And now that I know how to do it, I hope to inoculate other logs–though I don’t really want to cut down one of our healthy trees to do so. Maybe I can get a tree donation, like the huge tulip poplar a tree care company dropped off at St. Peter’s that we still need to cut up with chainsaws (subject of a future blog entry! ).